It is known that already in pre-Historic times the peoples of the Arctic used skis for transportation, hunting and maybe even, for entertainment. The Norse sagas offer several passages of both Norwegians and Sámi skiers aptly flying and even at times fighting over the winter-snow. If skiing remained for the most part a Scandinavian and Siberian phenomenon for the longest time, it ultimately spread over the whole world mainly as a sport and entertainment form. What is often overlooked is where this outward phenomenon started and the answer is, unsurprisingly enough, the Arctic North. North-Norwegians have enjoyed skiing, both as a past time and as means of locomotion since time immemorial. In the 17th and 18th century, skis began to be used more systematically in the armies of the Scandinavian countries, especially in Sweden. 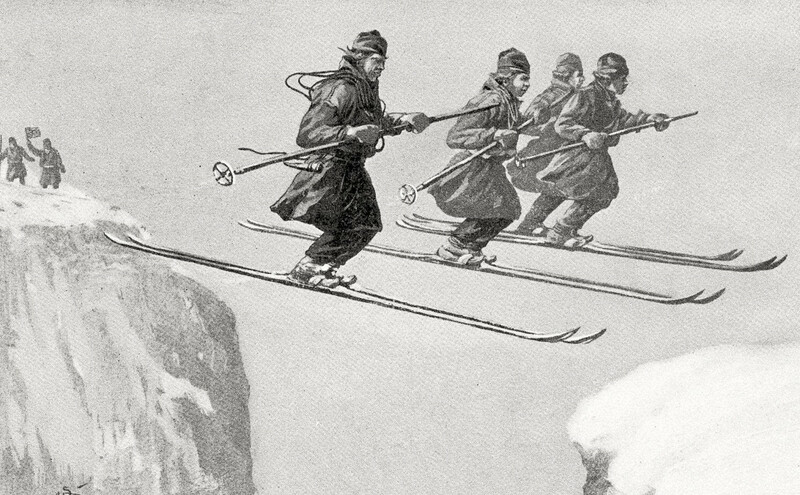 During military training, skiing exercises were sometimes organized and the idea of skiers competing to reach a goal as fast as possible was born. Such exercises were however confined to the garrisons and civilians were still at large unconcerned with such contests. This all changed in March and April 1843 when the world’s very first civilian skiing competition took place in Tromsø, the largest Norwegian city North of the Arctic circle. The race had been organized by the local priest, teacher and journalist Otto Theodor Krogh who was the editor of the local newspaper Tromsø Tidende. Being responsible for the paper’s content, Krogh simply wrote a short announcement in his paper and called for people to gather by the city hall, on the 21st of March for a race over the town’s hill and back, a race that Krogh estimated would last around 40 minutes and was to be “a true Norwegian game.” The fact that Krogh used such words and did not bother to describe the concept of the race further would seem to indicate that the concept of a ski race was already well-established among the locals who might very well have organized informal skiing races among friends and family for example, for quite some time already. But the competition in question is the oldest officially-organized race we have any evidence about. Before the middle of the XIXth century, most skiers, including the Sámi used but a single pole. The race of the 21st of March was followed by two additional ones, showing that the initial competition must have been quite popular. The names of the people who won these first three skiing races was unfortunately not conserved. However, it is known that the winner of the second race was a barrel maker and that the third winner was a shoemaker of Kven origin. Kvens was (and still is) the name used to designate the Northern Finns who emigrated from Finland to North-Norway in the 18th and 19th century. It was also noted that this Kven skier had quite a singular technique and skied using two ski-poles. Indeed, in the Middle-Ages and the early Modern period, the traditional way to ski was to use a single, rather long and thick ski-pole (which sometimes was also used as a weapon). The article in the Tromsø-Tidende paper about this mysterious Kven note that using two poles was the traditional way of doing among Kvens, insinuating that the practice of using two poles was still quite novel to be noteworthy of inclusion in an article. The Kven people have lived in Northern Norway for more than two centuries and mostly established themselves as farmers. It would thus seem that not only was this 1843 skiing tournament the first of its kind in the world, but also introduced the concept of double-pole skiing to the wider world. This “discovery” however took time to be fully accepted by skiers, especially in the more southerly parts of Norway where skiing using only one pole was still the norm by the 1880s. The now largely-forgotten first skiing competition, held in Tromsø in 1843 was, as with many things coming from the Far-North, well ahead of its time but most definitely deserves to be more widely-known, not only in the Arctic, but all over the world! (1) The world’s first skiing competition, a memory to take care of? Article from the Norwegian newspaper Nordlys/ Nord-Norsk debat. (2) The world’s first skiing competition. Article on Tromsø ski-club webpage. (3) Competitive skiing. Article in the Norwegian Online Encyclopedia. (I) Norwegian postcard. Circa 1890. 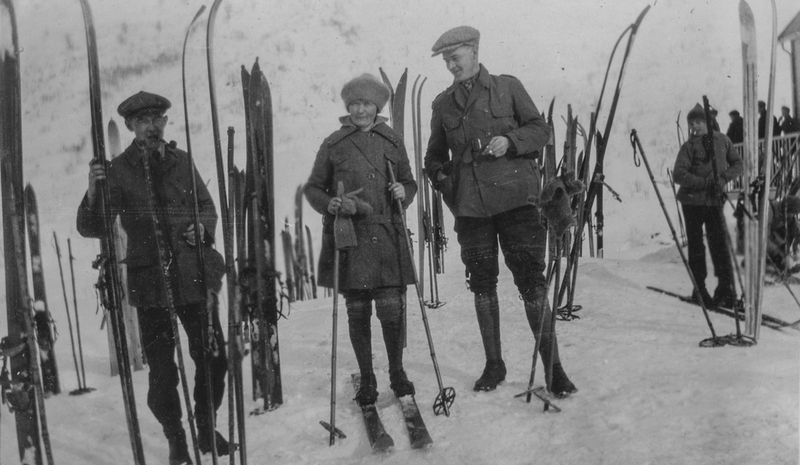 (II) Skiers in Tromsø in the early XXth century. Image from the Perspectivet Museum. Published under Creative Commons license. 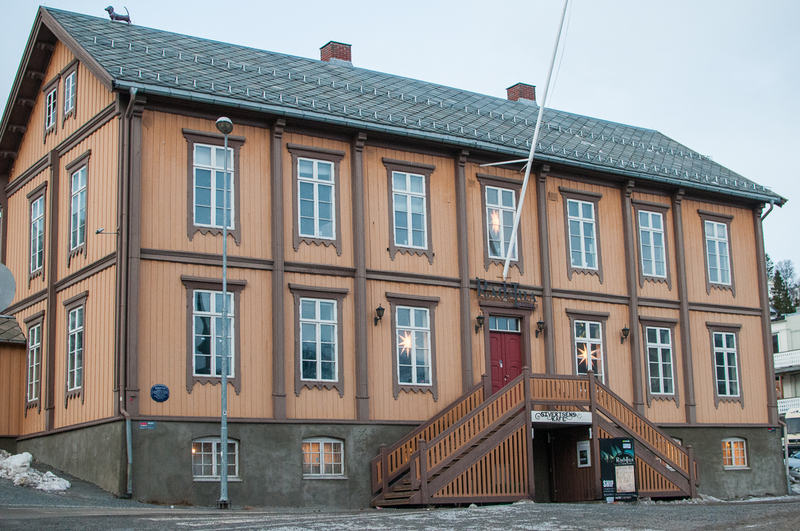 (III) The old City-Hall of Tromsø. taken from Flickr. © Linnea Nordström 2016. (IV) Sámi skiers in the late 19th century. Picture taken from The Land of the Long Night by Paul Belloni Du Chaillu. Published in 1899. 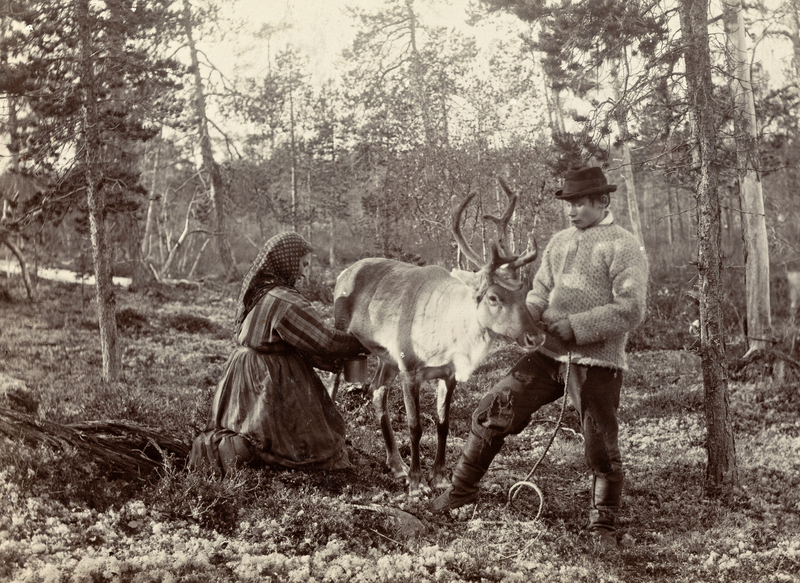 (V) A Kven familly milking a reindeer in Finnmark in the late 19th century. Picture by Ellisif Wessel.